Streamline your stone management procedures. 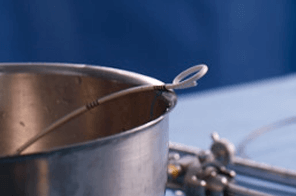 Over the last 40 years Cook Medical has played a role in the shifting urological trends. Recently, we’ve started to redefine what it means to offer a comprehensive product offering—to bring you solutions that can help you streamline your stone procedures from access to drainage and everything in between. Gain access by choosing from our assortment of Amplatz, fixed core, and nitinol wire guides. The HiWire® Nitinol Core Wire Guide is designed to help you gain access in routine or demanding cases that require precise control. Maintain access and provide a conduit for instrument exchange with a reinforced sheath from the Flexor® family. 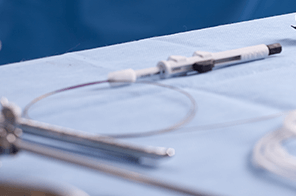 The Flexor® Parallel™ Rapid Release™ Ureteral Access Sheath gives you two options for placement: the traditional Flexor placement or the Rapid Release technique. 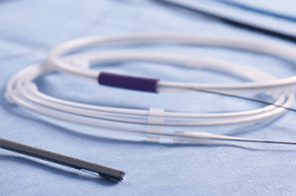 The latter technique is designed to save you time in the OR and save product by eliminating the need for a second wire guide. As the leader in nitinol extractor technology, our offering includes a tipless device, an occlusive umbrella-shaped device, a device with a dual-basket design, and a device that serves as both a basket and a grasper: the NGage® Nitinol Stone Extractor. The NGage extractor’s patented design enables you to engage, reposition, release, or extract stones in the kidney or the ureter. 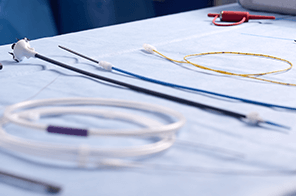 Select from a variety of stent configurations, materials, and designs to provide drainage for the everyday procedures and for your cases that require more specialized care. Universa® Ureteral Stents are used to provide temporary internal drainage from the ureteropelvic junction to the bladder. Soft and firm options provide flexibility so you can choose the appropriate stent for your patient. The Universa Soft stent offers a softer feel during placement. The Universa Firm stent’s thermosensitive material is firm for placement but softens in the body. A lot of consideration goes into what products are placed in your OR. Not only does a comprehensive line impact your costs, it also ultimately impacts the patients you serve. Don’t just reach for what works, reach for what works together—from start to finish.